Are you pushing the right buttons at Woolworths? 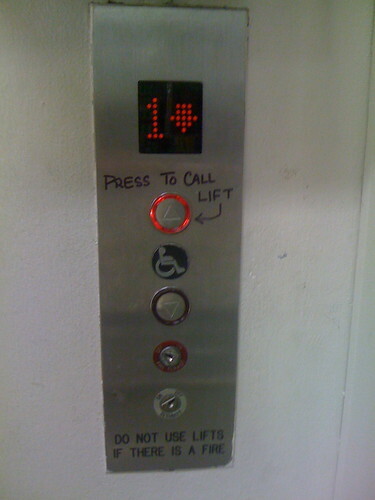 On the ground floor of Woolworths in Sydney CBD the lift buttons are faulty. Only the up button works. If you want to go down, and press the down button, you will be waiting a long time. It appears that they are aware of the problem. And someone has helpfully left a note in marker pen to press the up button. Perhaps they should think about fixing the down button as well? This entry was posted in Photos, Shopping and tagged button, lift, photo, sign, Woolworths. Bookmark the permalink.